This is such a pretty dress. I only wore it for a few hours. It is a lovely blush/pale pink colour. The size is 10. 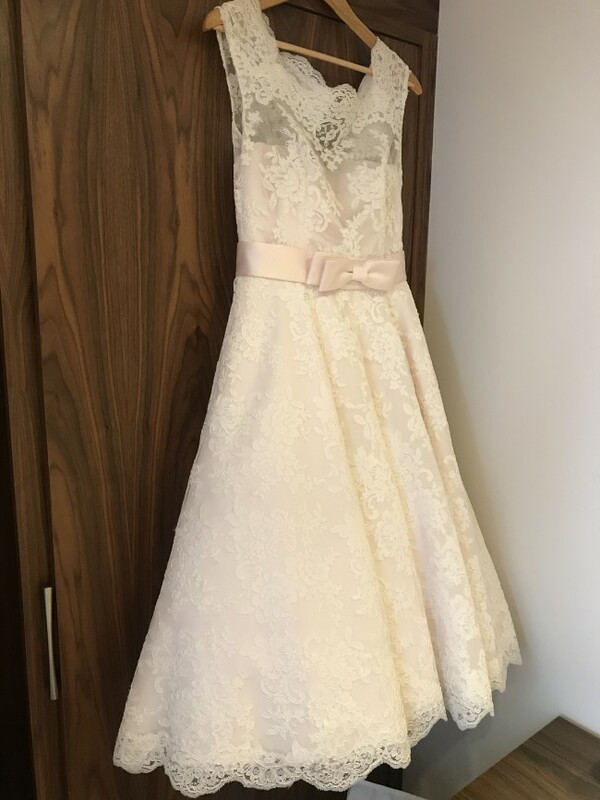 It retails at £1100, however this was a sample dress (little size lable inside cut out) and therefore I got it for £850. It is in perfect, clean condition. I had so many compliments by people passing me on the street and I felt truly special in this dress. It fitted me perfectly and therefore it had no alterations done to it.